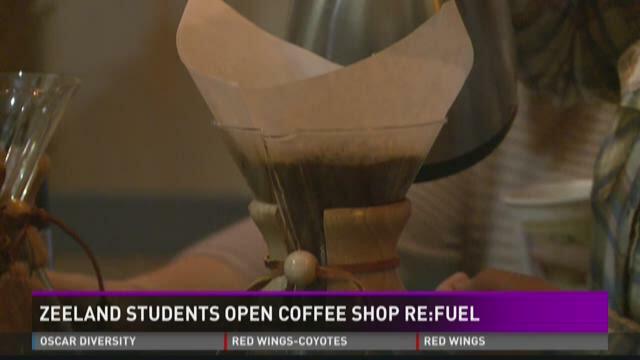 ZEELAND, Mich. (WZZM) -- Some students in Ottawa County are getting a hands-on learning experience by opening up a coffee shop. Re:Fuel is on the campus of the iCademy Global campus in Zeeland. The shop served its first customers this evening. The venture started last spring, when high school students took a trip to Honduras. They met several coffee bean farmers and learned about fair trade practices. "We learned about the coffee process, and how it's all made," said senior Sara Vanbeek. "Everything that goes into coffee -- it's a lot of work if you actually go and you see how it's done." Most of their customers will be teachers at the school, but anyone is welcome to visit.